Guest speakers Huwaida Arraf and Cindy & Craig Corrie reflect and answer questions on Rachel Corrie, the ISM, and the last 15 years of grassroots organizing and Palestinian solidarity work. Help RCF raise $15,000 to continue work in Rachel's name! Join the Rachel Corrie Foundation for Peace and Justice (RCF) in Seattle on Saturday, March 17, 2018, to remember Rachel Corrie and celebrate fifteen years of Palestinian solidarity and community organizing! In honor of 15 years of dedicated work around the globe, the Rachel Corrie Foundation wishes to raise $15,000 to support the programs that carry on Rachel's vision, spirit, and creative energy! There will be a Q&A session with the guest speakers, and the opportunity to purchase copies of Rachel Corrie's book, Let Me Stand Alone, signed by Cindy & Craig Corrie. Tickets are free, but a donation to the Rachel Corrie Foundation is strongly encouraged to sustain the work carried out in Rachel's name. All guests must have a reserved ticket due to venue capacity restrictions. 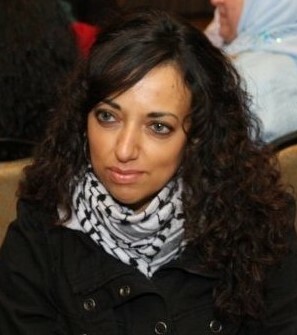 Huwaida Arraf is a Palestinian-American attorney and human rights activist. She received her Bachelor's degrees from the University of Michigan, and her Juris Doctor from the American University Washington College of Law, where she focused her studies on international human rights and humanitarian law. Over the past two decades Huwaida has been involved in a number of legal and grassroots initiatives for Palestinian rights. In 2001, she co-founded the International Solidarity Movement (ISM), a Palestinian-led non-violent resistance movement, which has twice been nominated for the Nobel Peace Prize. From 2007-2008, Huwaida helped build the first accredited clinical legal education program in the Arab world, based at Al-Quds University. She was one of the initiators and organizers of the first delegation of lawyers to enter Gaza following Operation Cast Lead (2008-2009), and co-authored the report on their findings, "Onslaught: Israel's Attack on Gaza and the Rule of Law." Huwaida is the former Chairperson of the Free Gaza Movement, and from August to December 2008, led 5 successful sea voyages to the Gaza Strip to confront and challenge Israel's illegal blockade on the 2 million Palestinians living there. She was one of the primary organizers of the Gaza Freedom Flotilla and was traveling with it when it was lethally attacked by Israeli forces on 31 May 2010. In 2011, she was one of the six Palestinian Freedom Riders, who, inspired by the U.S. Civil Rights Movement's Freedom Rides of the 1960s, attempted to ride segregated Israeli settler public transport, for which they were harassed then violently arrested. Huwaida is co-editor of the book Peace Under Fire: Israel, Palestine, and the International Solidarity Movement and her writings have been published in books, magazines and journals around the world. She currently practices civil rights law in Detroit. Cindy and Craig Corrie are the parents of human rights activist and observer Rachel Corrie who in 2003 was killed by an Israeli military operated Caterpillar D9R bulldozer in the Gaza Strip, as she tried to prevent the demolition of a Palestinian family's home. Motivated by their daughter's work and example, the Corries have dedicated themselves to the pursuit of peace with justice in the Middle East and have made many visits to the region, including five to the Gaza Strip. In 2012 and 2016, Cindy Corrie co-led Interfaith Peace-Builder delegations to Israel, the West Bank and Gaza. In pursuit of accountability in Rachel Corrie's case and rights for Palestinians, the Corrie family has for years advocated in the U.S. at both state and national levels of government, and has sought justice through court systems in this country and in Israel. The Corries reside in Olympia, Washington, where they support the work of the Rachel Corrie Foundation for Peace and Justice. In December 2010, the foundation was recognized for "outstanding service for Human Rights-Unique Achievement" by the Thurston County Diversity Council. 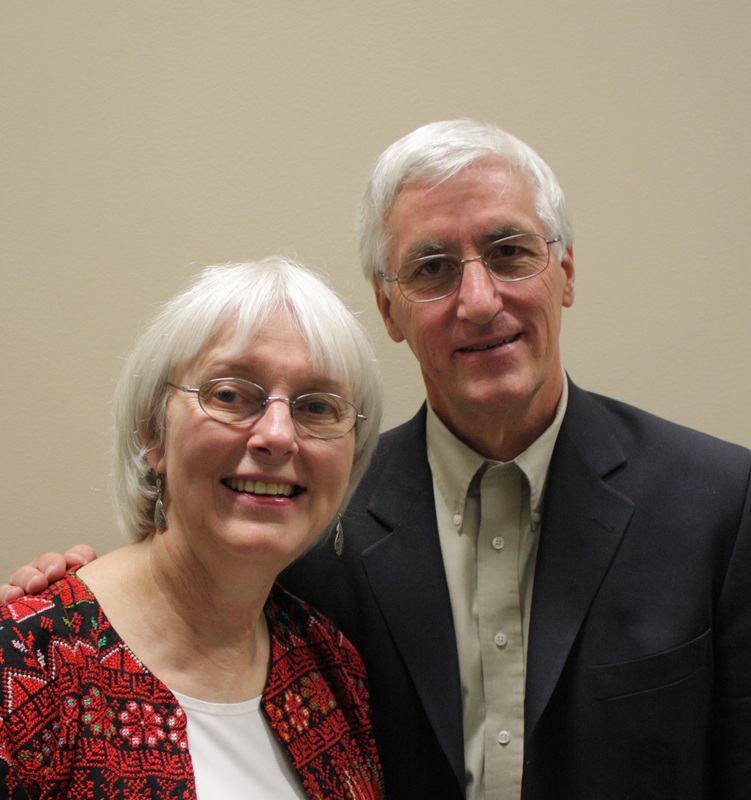 The Corries are recipients of a Human Rights Advocates of the Year Award from Seattle University's Human Rights Network and a Pillar of Peace Award from the Pacific Northwest Region of the American Friends Service Committee. In October 2012, they accepted the Lennon Ono Grant for Peace on behalf of their daughter Rachel.